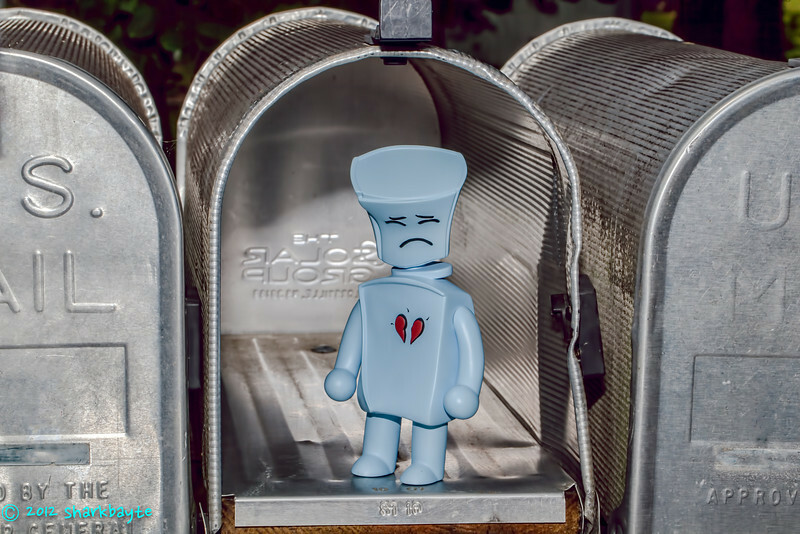 July 20, 2012-Broken Heart Robot, went to check on the mail. He was a bit sad and blue, that he didn't have any mail. I told him we could check to see if he got some email. (Day 20/365) *just realized I didn't post this on Friday.